Swimming in tomatoes yet? Even if not, make this gorgeous gazpacho anyhow – it’s one of my very favorite versions of everyone’s favorite summer treat. 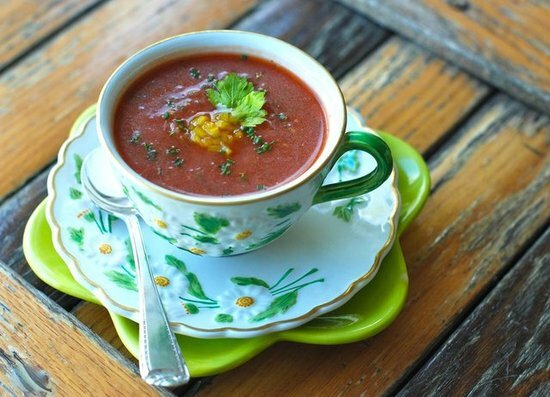 Recipe for Gazpacho at Andrew Zimmern’s Kitchen Adventures/Food & Wine Magazine.